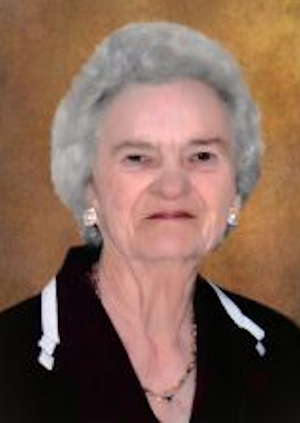 Obituary – Wood, Dorothy Jean (Hull) « Perry High School Alumni Association, Inc.
Dorothy J. Wood, 91, formerly of Perry died Monday, March 13, 2017 in Rockwall, Texas. Mrs. Wood was born in Corcoran, California to Clifton George and Anna Mae (Dressen) Hull on September 24, 1925. They moved to Perry in 1932 where Dorothy attended the Lutheran Schools and graduated from Perry High School. She met and married the late Gene C. Wood and made their home in Perry. She was a proud member of the Perry community and was a supportive wife and loving mother. The Woods were members of the First Presbyterian Church of Perry and Mrs. Wood was a part of the Perry Memorial Hospital Auxiliary. She loved to attend the many Lions Club functions which took her and Gene many places across the county. Many might remember her bridge playing skills and she and Gene hosted many friends to play cards and enjoy the company of one another. During her working career she worked for the Department of Health and Human Services in Perry. She was a lover of classical music. She was preceded in death by her parents, husband, Gene C. Wood, daughter, Carolyn Briegge. Dorothy is survived by her son, Larry and wife, Debbie. Brother-in-law, Joe L. Wood. Nieces and Nephews: Glenda and Manuel Terronez, Judy and Charlie Patak, Teresa Russell, Tommy Sosbee, Paula Sosbee and David Macy. Grandchildren: Kristi Wood, Lisa Wood, and Dustin Barrett. Great-Grandchildren: Cody, Bridget, Brook, Blake, Ashlyn, Christian and Carter. Services under the direction of Brown-Dugger Funeral Home of Perry for Ms. Dorothy J. Wood will be Saturday, March 18 at 2:00 PM in the First Presbyterian Church of Perry. Family will receive friends from 1:00 pm until service time at the church. For those who wish, memorial donations may be made to the First Presbyterian Church of Perry or the Perry OK Fire Department in care of Brown-Dugger Funeral Home. 1010 N 7th Street, Perry, OK.